Eurotherm is a leading global supplier of Industrial Automation and process control, measurement and data management solutions and services. 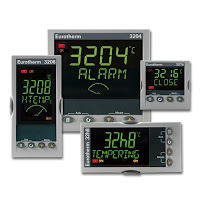 Their specialize in temperature control, measurement and data recording solutions. Their products contain market-leading control algorithms, recording and data management strategies and are rich in features and designed for easy operation and reduced engineering time. Eurotherm iTools is a versatile suite of software tools to allow configuration and monitoring of Eurotherm temperature and process controllers, power controllers and recorders. It is a free configuration tool that helps you load, save, and edit configurations as well as, monitor your process live. The video below demonstrates how to configure any ethernet compatible Eurotherm device to talk to iTools using Modbus TCP/IP.